LifePath's fundraising Book Sale is a great time to load up on gently-used books in all categories. This new Early Bird opportunity, from 8 - 10 a.m. on May 31st, allows you early admission for $10 (in advance), with best selection and first dibs on all of the books available. A limit of 200 tickets will be sold; if tickets are still available on Early Bird Day, the remaining tickets will be sold at the door for $15 each. All students ages 12 and up must have a ticket for admission. LifePath Christian Ministries is a non-profit organization serving those experiencing poverty and homelessness in York County. With no government funding, fundraisers and private donations must cover all operational expenses. 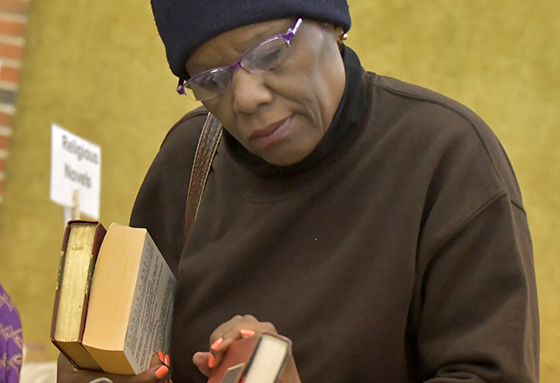 The LifePath Book Sale is one of our important fundraisers, and your ticket purchase, added to profits from book sales, will go directly to serve this population with meals, shelter, public showers, and classes in life skills and job preparation. Thank you for your support.